Take a look at the process we go through when it comes to choosing a new coffee. Evey so often, we change our coffees. Because we purchase from small individual farmers or smaller cooperatives, when the coffee has gone, it is gone until the next harvest. Even next year, however, we may not get the same coffee from the same farm. Every year, the quality from a particular farm can change, or next year, we may just not fancy it. This means that our team of roasters are always on the lookout for new and exciting coffees to replace those that have become extinct from our stocks. Choosing our coffees is something we take very seriously. A lot of work goes into finding a coffee that we think will be right up your street. Although it may seem it, it isn’t as easy as choosing a coffee, having it sent over and then start roasting it. Let me enlighten you on the process we go through when selecting our coffee. Firstly, we are sent an offer list from our UK importers. By purchasing through an importer, we can choose our coffees from an array of different countries and farms. If we worked directly with one farmer, we would look to be purchasing a lot of coffee from just one place. Our importers make sure the chain to the farmer is as short as possible too, meaning that the farmers get as much money for their crop of coffee as possible. This list has various information about the coffee such as country of origin, the farm and some tasting notes. Using these tasting notes, we will look for similarities between the samples of coffee we receive and coffee that we are already selling. For example, if we were replacing a coffee that had fruity notes to it, we would look for a coffee that also had a fruity element to it. 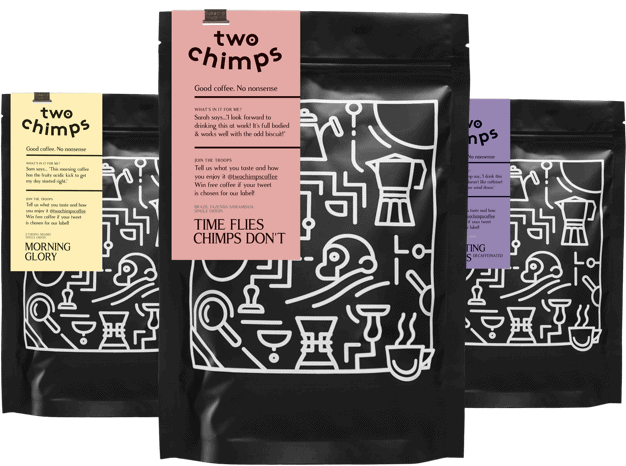 It’s important to know that we will never find two coffees that taste the same, but we try our best to keep the taste similar. If we see something we like, we’ll get in contact with the trade house or importer and ask for samples of a particular coffee to be sent. Because we purchase from small farm owners, we have to be quick during this process. We don’t want another roaster beating us to it! Once we have received our samples of coffee (we usually aim to have between three and six to give us a choice) we will cup them to see which coffee we prefer. To find out more about this, visit our coffee cupping guide. When we have chosen our favourite, we will place an order and, if the coffee is stored in the UK, arrange to collect it from the warehouse. When the coffee beans reach the roastery, we will investigate how to roast to get the most out of the new coffee. We start by finding the density and moisture content of the raw coffee bean. Coffees with a high density are often grown at a higher altitude and vice versa for coffees with a low density. When we begin the roast, the first thing we need is a start temperature. This start or drop-in temperature is the heat of which the drum is at before any coffee goes in. The denser the coffee bean, usually the higher the temperature. Coffees with a higher density can take more heat at the start of the roast. They need this higher temperature too, to penetrate their dense cell structure. As the roast begins, we monitor the ‘rate of rise’, making sure the beans spend a desired amount of time in each stage of the roast. By controlling the roast through its early stages, we can predict when the first crack will be. For a lighter, more fruity and acidic coffee, we will aim for an earlier crack. For a bean we wish to use for espresso, we will aim for a slightly later crack. We use three sensory milestones when roasting our coffee in its early stages; grass, hay and bread. Each of these smells represents a milestone in the roast. We use this method to allow us a great roast every time. After these three milestones have passed, we then listen out for the first crack. The first crack signifies that the coffee beans are starting an exothermic reaction; where they cannot take in any more energy, so they omit it instead. The development phase of the roast begins. This is the time between the first crack and the end of the roast. During this time, we pull a sample of beans every 30 seconds. These samples are cupped to find the sample closest to what we were aiming to achieve from the roast. Next, we will start the process again using the information recorded from the first roast and the tastes on the cupping table. For instance, if we wanted a slightly sweeter coffee than that which was roasted first off, we will adjust the roast to suit. We keep repeating this process until we nail the roast. Once we are happy with the roast and roast profile, we mimic this for all of our small batch roasts of this new coffee. We keep a sample of the beans to use as a colour match for all subsequent roasts too. So there you have it, that’s the process we go through when choosing our coffee. Got coffee on the brain? Grab a bag of coffee from our shop now.